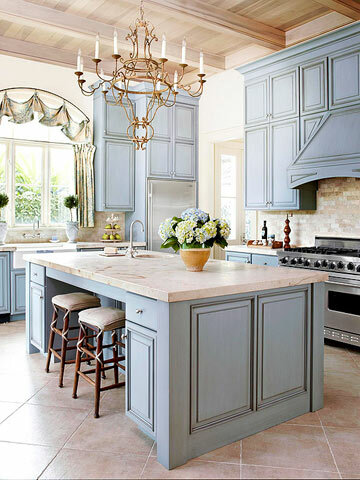 Want an amazing kitchen? Here are some tips that will get you there. This is another post in my Home Decor Series. I hope you enjoy and find a little inspiration! Open shelves. What a delicious option for your kitchen. They look oh so pretty. You can see mine in this Decorating with Milk Glass post. Mine are a shelf that my Grandfather built many years ago. I added some beadboard and painted them. 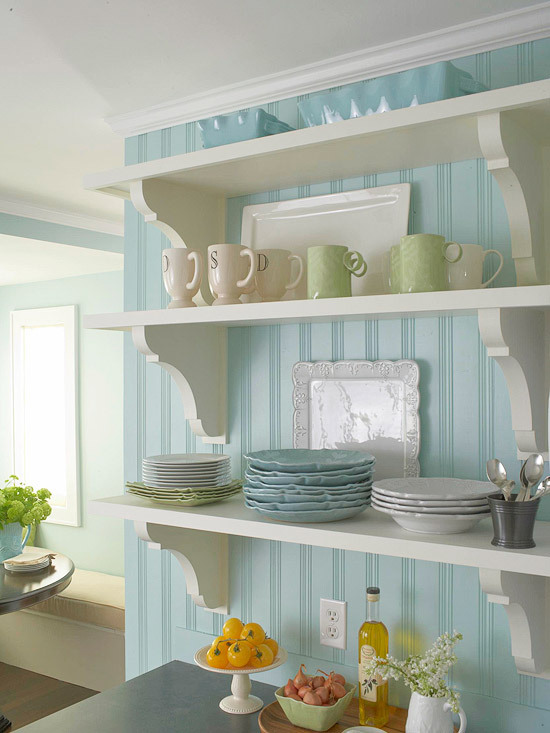 You could always build your own kitchen shelves with this tutorial from Amy at The Idea Room. Even a simple banquette just gives such a custom look. I love it! Color is king! I mean, come on, have you ever seen a cooler kitchen? 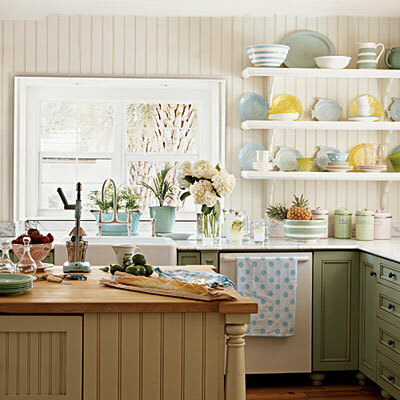 I love the warmth on the wood in contrast with the cool of the cool of the turquoise. Magical. Just think... you can always paint it again. And in the mean time, you have the most incredible kitchen. Tempting? Add a dreamy backslash. I tiled my own backsplash about a year ago and I just adore it. I used small glass mosaic tiles and it was super easy to do. 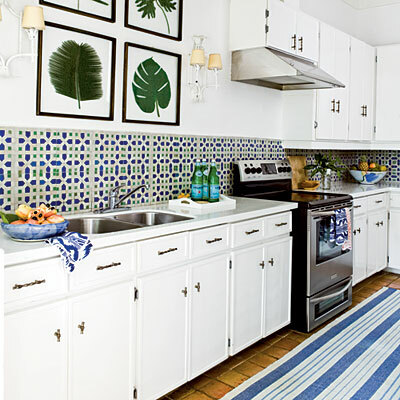 It's amazing the difference a backsplash makes, especially if its with a really beautiful or interesting tile! Um, where can I find these pendant lights... better yet, how can I make them for about 10 bucks? Rugs are for being pretty. They make it cozy too... but when you are in need of a little interest or color, lay it on the floor. 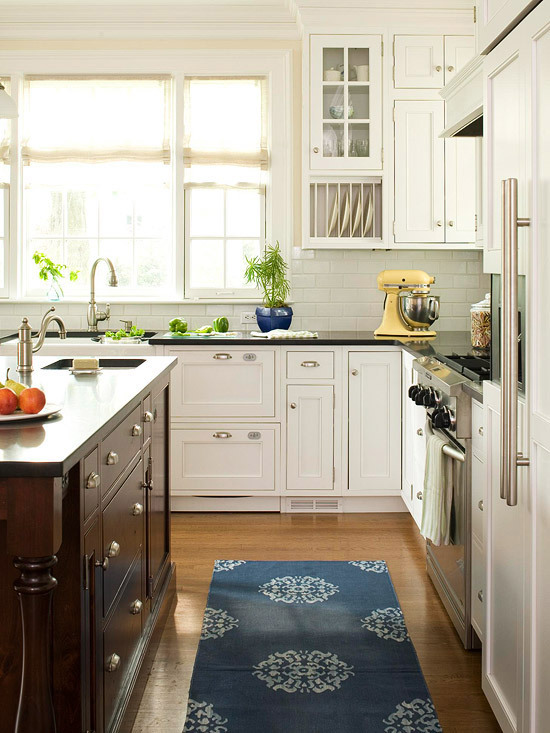 A pretty rug is awesome for bringing pattern and color into your kitchen. (I think I spill too much though). 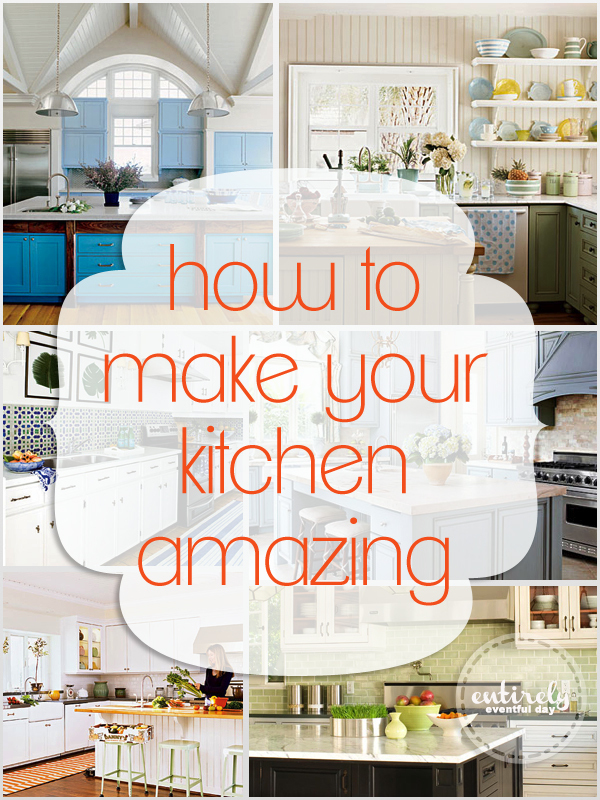 But if you are a less sloppy cook than I am, I totally recommend it! Check out my other Home Decor posts!